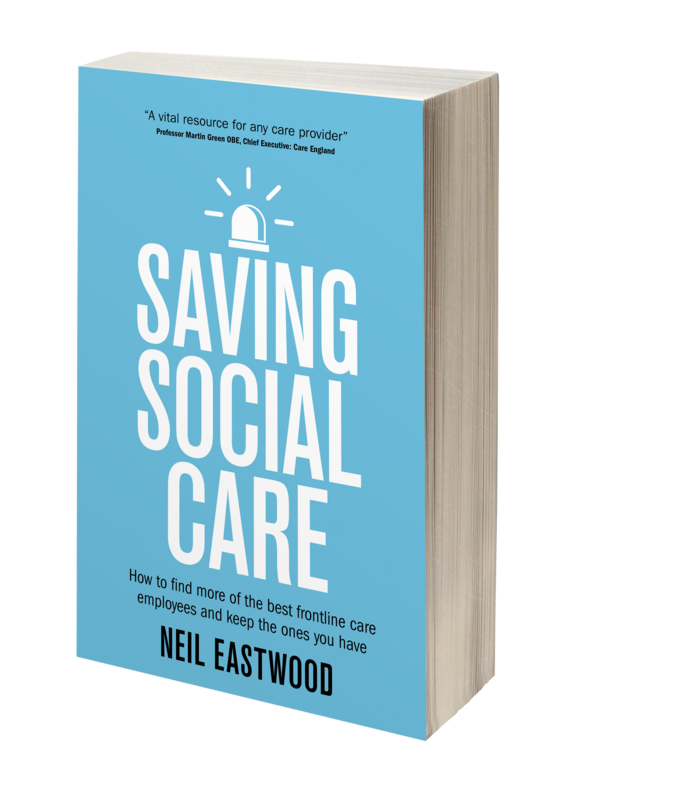 As Bill Clinton famously said: “The price of doing the same old thing is far higher than the price of change.” – an excellent maxim for social care providers faced with the significant challenge of finding ever increasing numbers of quality staff over the coming years. A combination of employment pressures such as greater opportunities for the female workforce, increased competition for staff from new providers, and other service sectors, and social services funding cuts have only added to the relentlessly rising demand for quality hands-on care staff. So what to do? Most structural remedies (think cavalry coming over the hill), such as significant increases in funding, are unlikely to arrive any time soon. So it’s down to care providers to effect change in their own approach. After almost ten years researching recruitment methods used by best care providers around the world, it is clear to me that there is much employers can do themselves to improve their lot, quickly and for very little or no cost. A successful recruitment operation cannot be undertaken as an afterthought, or when a busy Registered Manager can spare time. The care providers around the world who excel at finding staff assign someone to own and oversee the process. Not only that, they recognize that recruitment is no longer an office hours only proposition. Applicants expect to get an answer promptly whenever they reach out, so someone needs to be available to help. The most effective recruiters are building relationships with applicants on social media, text and by phone at times to suit the applicant. 2) Community outreach is essential. Get out of the office! Many of your best future staff will be sourced from seeking out high potential groups in the community. These people are unaware of how suitable they are for a paid care role – and how rewarding it would be for them – unless you go and tell them. Forward-thinking care providers understand the power of word of mouth and building an employer brand locally. Look for people who volunteer, have strong community feeling, demonstrate caring and putting others first. I would start with the local hospice because their supporters have care experience, cause-related charities, ethnic groups and family carers. Most of your future staff will live very locally so it is quite possible to reach them without too much effort. It should not be the sole responsibility of your recruiter to shoulder the staffing burden. Any provider can amplify their recruitment effectiveness by enlisting an army of foot-soldiers to search for potential staff. This can include current employees, their families and friends, ex-staff and your clients and their families, but my top option is to start with your employee referral scheme. You may not realise it, but employee referrals are consistently the top source of quality staff around the world – and I have covered a lot of the world looking to confirm that. We think about 70% of care providers operate a referral scheme for staff but the majority of these schemes under-perform or are after-thoughts. When employers focus on overcoming the challenges of keeping their scheme top of mind with staff, rewarding promptly and making it engaging, results can jump from 5-10% (or fewer) of new starters coming from this method, to over a third of all staff being sourced this way. Referred staff turn up for interview and stay much longer too. There are simply not enough trained and experienced care staff in circulation to satisfy the recruitment needs of today, let alone the next ten years. Also, many of the high performing and most suitable qualified care workers are committed to their clients and loyal to their company. So, care providers need to look beyond work experience and qualifications and more to values, motivation and attitude. We simply won’t have enough staff to meet growing demands for care unless we bring in fresh talent. Also, taking staff from a local provider simply shifts the recruitment problem from you to them. In my view, the care organisations that succeed over the coming years will be those that embrace change. Implementing simple methods such as the four examples above will ensure the price of that change is actually encouragingly low. What is beyond doubt is that the price of doing the same old thing in care recruitment will very soon become far too high, just as Bill Clinton predicted. Not only for providers but also for society.